In her latest Insights column, Kara Gansmann discusses the impact of the N.C. Power of Attorney Act on estate and elder law planning. “The New N.C. Power of Attorney Act: Its Impact on Estate and Elder Law Planning” is available at the online Greater Wilmington Business Journal. 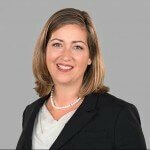 Kara is an elder law attorney based in the Wilmington office of Cranfill Sumner & Hartzog LLP.